When you think of Nantucket, perhaps beautiful beaches, cobblestone streets and rose covered cottages come to mind, but this small island is also home to one of the most pioneering women in the history of science. 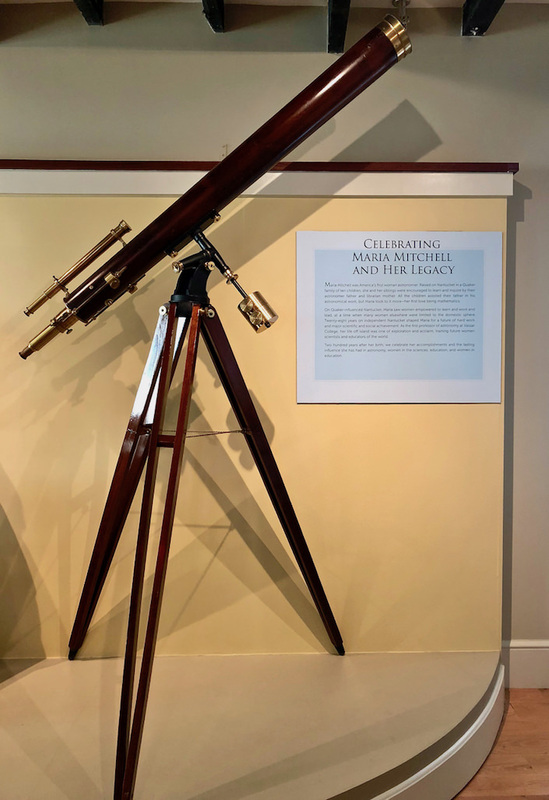 This year celebrates the 200th anniversary of the birth of Maria Mitchell [pronounced “mə-RYE-ə”], America’s first female astronomer and to commemorate the occasion, the Nantucket Historical Association has collaborated with the Maria Mitchell Association on an exhibition at the Whaling Museum, below. Born on August 1, 1818 on Nantucket to Quaker parents, Maria was one of ten children. Happily Quakers believed in educating both its boys and girls and unlike most other places in the country at the time, Nantucket empowered women to learn, work and lead alongside men – the “petticoat aristocracy.” Maria attended the local schools and was tutored by her polymath father, also an astronomer (an important role in helping the local whaling ships know their locations), as well as a school teacher, chief cashier of the local Pacific Bank, responsible for all of its operations, a surveyor, cooper, farmer, candlemaker and state senator. By the time she was 14, Maria had already observed and calculated the time of an eclipse and was rating the chronometers (ship’s clocks) for the whaling captains. 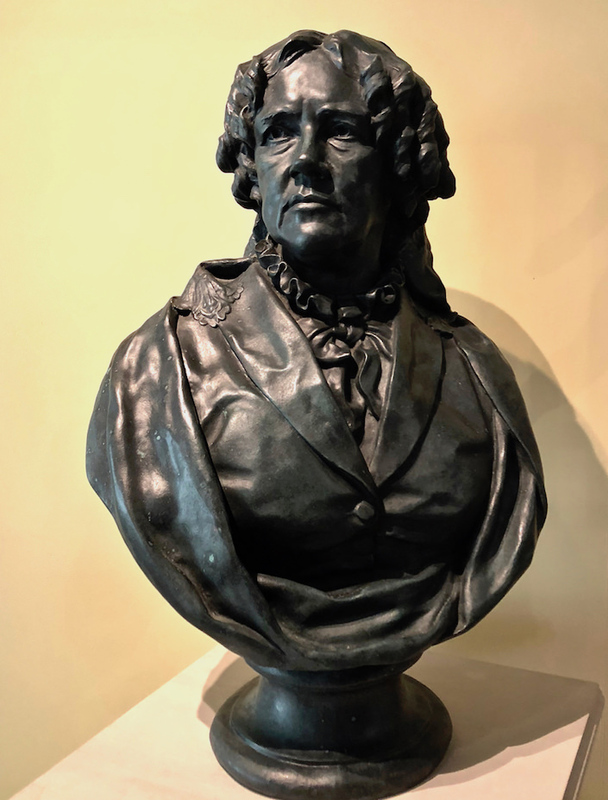 By 17, she founded her own private school and a year later, in 1836, became the first librarian at the Nantucket Atheneum, where she would remain for 20 years. Not only did it provide her endless material for her own educational pursuits but and a way to encourage learning but she was at the center of all its activities, from anti-slavery conventions to lectures by such visitors as Henry David Thoreau and Frederick Douglass. 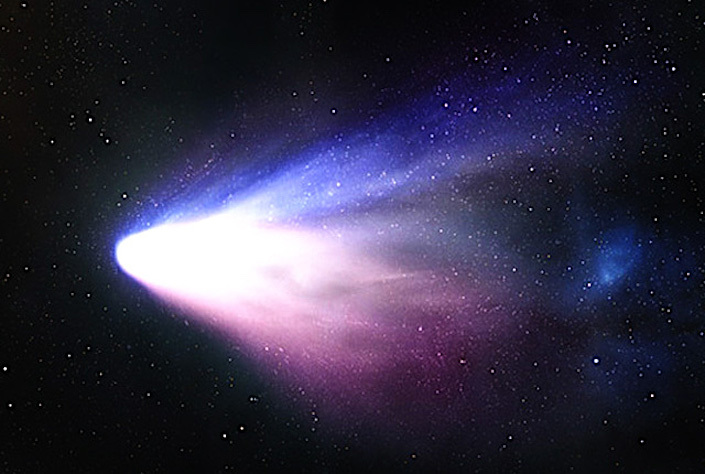 In 1847, Maria discovered and charted a new comet, a significant achievement for which she received a medal from the King of Denmark. It was this discovery that put Maria on the scientific map and for which she was elected a member – the first female ever – of the American Academy of Arts and Sciences. It wouldn’t be for another 100 years that more women would be admitted (the second was Margaret Mead). In 1859, the Women of America Association collected funds to gift Maria a telescope made by Alvan Clark, that is in the exhibit, below. 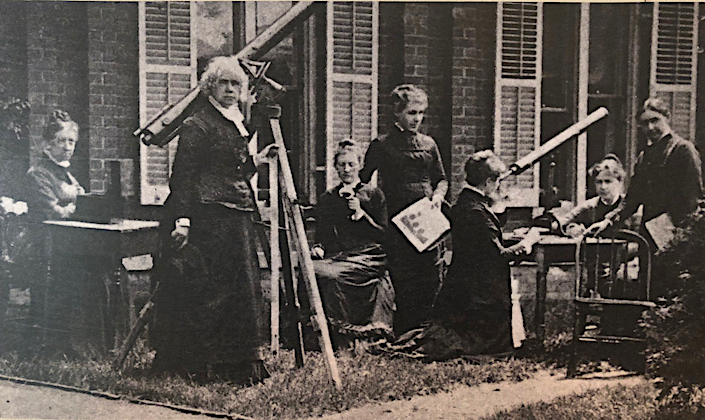 While she was an acclaimed astronomer, as well as librarian and naturalist, Maria Mitchell was, perhaps most importantly, an educator and an inspiration to all women striving to achieve more. 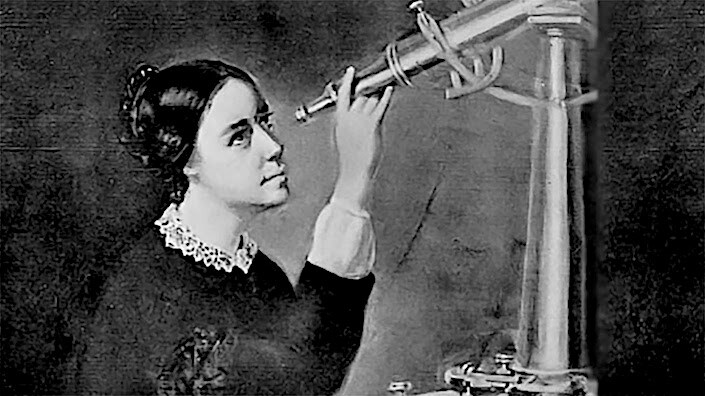 When Matthew Vassar founded Vassar College in 1861 as the first American college exclusively for women, Maria Mitchell was the first, and only female, professor he hired, making her also the first female professor of astronomy in the United States – especially amazing since her formal education ended at 16 – beyond which she was self taught. He even commissioned a telescope for her from Henry Fitz, a well-known New York telescope builder – the third largest in the country. Below, Maria Mitchell and student Mary Whitney in the 1880’s. 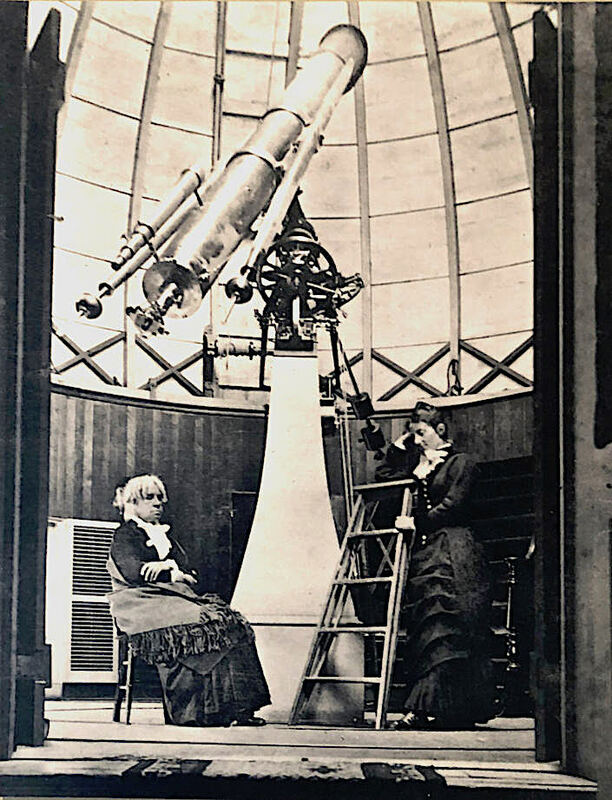 Mary was in Maria’s first class at Vassar, succeeded her as the Vassar Observatory director and later becoming the Maria Mitchell Association’s first president. After her death in 1889, The Maria Mitchell Association was founded by friends, family and supporters in 1902. It now encompasses the 1790 Mitchell House, an aquarium, a natural science museum with collections going back to the 19th century, and two observatories. In addition to wonderful public programming (there are great kids’ programs and camps) at their sites, the astronomy department conducts current research and through a program funded by the National Science Foundation, oversees research for select undergraduate students from all around the country. Maria Mitchell was an inspiring example to her students at Vassar, (Maria with her students at Vassar above, in 1878), generous in spirit and encouragement, creating an impressive legacy of women who followed her lead – from Margaretta Palmer, the first woman to receive a Ph.D. in mathematics to Antonia Maury, who would become a noted astronomer at Harvard, to Swallow Richards, who headed a lab at MIT ultimately making her a founder of the home economics movement and the author of the first health food cookbook in the U.S., to many others. Maria was an avid supportive of civil and women’s rights and instilled in her students the belief that they also had the ability and potential to be scientists and educators. 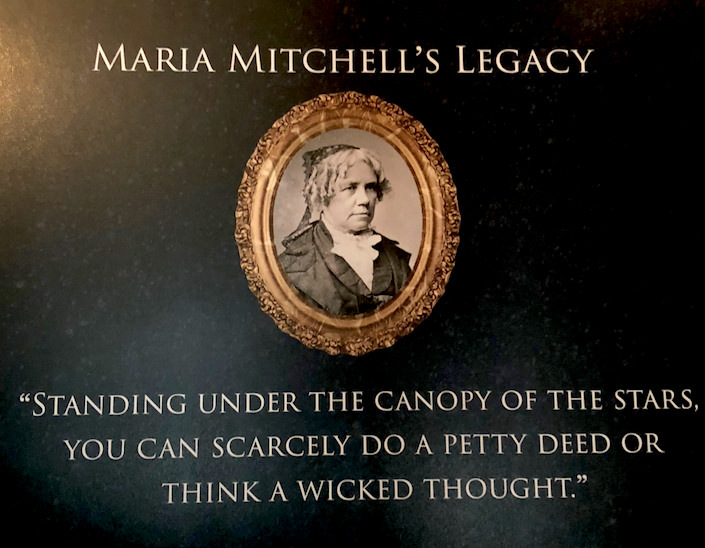 Maria Mitchell has captured the attention of many, including blogger Maria Popova, whose marvelous BrainPickings has covered her on many occasions. You can visit to find many of Mitchell’s writings from her journals, such as below, a fitting quote as a final tribute. 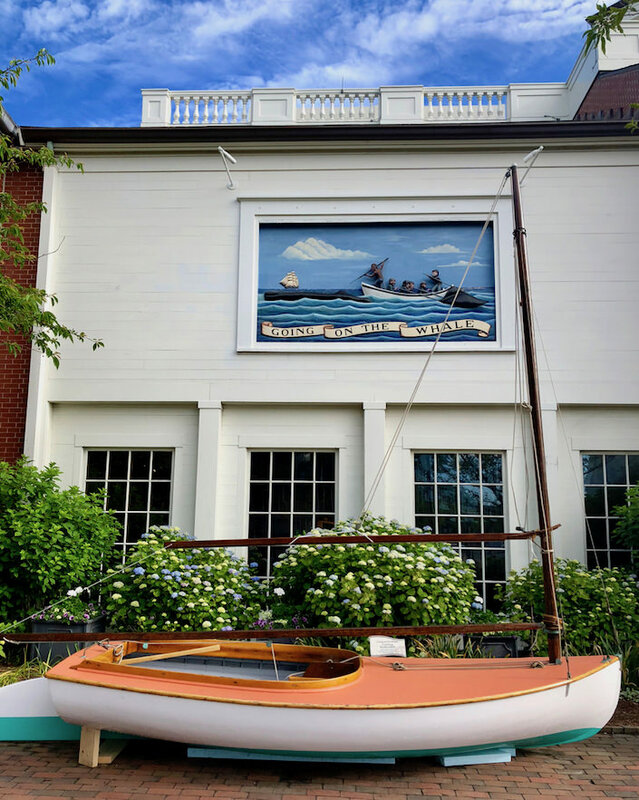 This entry posted in history, learning, Nantucket, travel. Entry Tags: astonomy, history, Maria Mitchell, Nantucket, women in science Bookmark the permalink. Thank you, Stacey, for this wonderful biography of Maria Mitchell. We are great supporters of the Maria Mitchell Assn. here on Nantucket which has educated so many children through their science camps and both children and adults about astronomy and the environment. (My husband, Ned, was privileged to serve on the MMA Board for 12 years – just stepped down last week). Another Nantucket non-profit doing good things for the community. so enjoy your posts on Nantucket! I do hope to get there again this summer. Thank you for all the very helpful information.